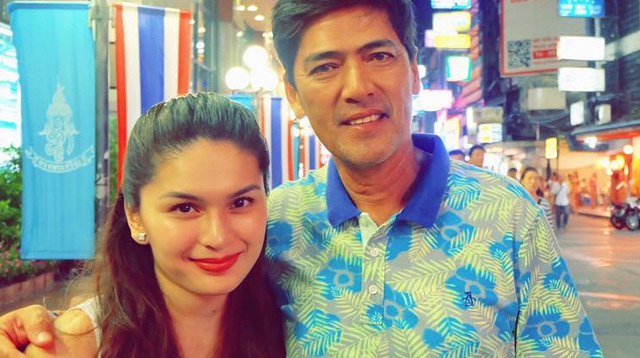 Pauleen Luna And Vic Sotto Just Got ENGAGED! Word about the engagement got out when Pauleen’s former acting coach and suuuuper close friend, Beverly Vergel, posted a ginormous engagement ring on her Instagram with the caption, “CONGRATULATIONS!!!! I am sooo happy for you!!! It's meant to be. This love will last a lifetime." PEP.ph reported that Pauleen wore the solitaire ring during the Eat Bulaga show on September 1, Tuesday. While the TV host hasn't officially announced her engagement, she did post a picture of the Perpetual Adoration Chapel on September 1, and captioned it, "THANK YOU LORD FOR ALL THE BLESSINGS." And if they can make that 34-year age gap work, then they are blessed indeed. CONGRATS PAULEEN AND VIC!! !